If authentic Indian cuisines in an unwinding & eccentric delight is the thing that you pine for, then Dubai has an abundance of such spots to devour you. Dubai offers an extensive variety of amazing South Asian, and specifically Indian restaurants that satisfy you with their particular assortment of sustenance. Ranging from Biryani to Palak Paneer and Rajma to Idli; bounty of exceptional Indian dishes fills the menu of these chic eateries. Few high points of these Indian restaurants in Dubai also offer the home-made delicacies and delightful pickles and sauces which fill the sides of your platters. In Dubai, you will discover plenty of Indian eateries offering an incomparable taste, incredible services and unique sulk. Dubai reverences a great number of Southeast Asians who have been living in the city for years or visit the city yearly. The spot has additionally cherished the traditional authentic recipes, food and flavors of these realms that are also applauded by the tourists. Dubai has various Indian, Pakistani Restaurants and Afghani eateries that offer top notch and delicious sustenance. However Indian restaurants in Dubai are exceedingly favored by the Asian and western guests. 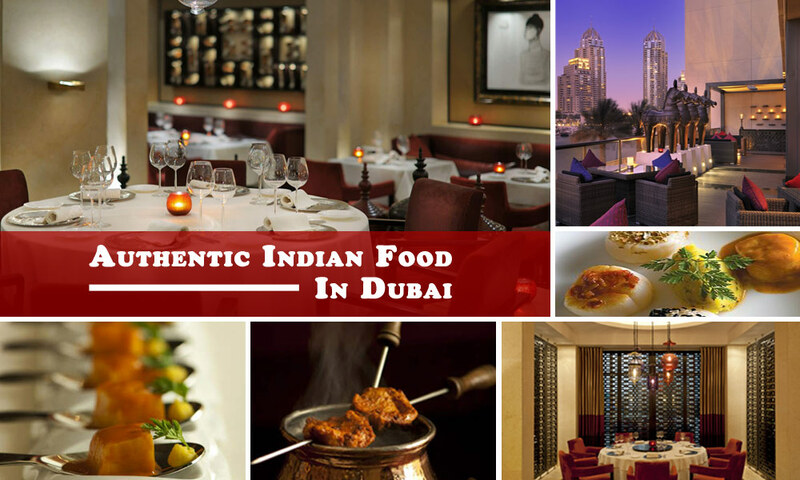 Here mentioned are the most prevalent authentic Indian restaurants in Dubai, which will indubitably whet your ravenousness with their tasty flavors. Chef Patron and Michelin Star winner Vineet Bhatia bring the contemporary Indian flavors to the modern settings of Indego. His culinary expertise and passion offer you an exclusive, mystical and rich experience of Indian dining. Amid simple opulence, the flavors, textures and expressive array of Indian cuisines are kept delectably alive. The place is all set to offer you sumptuous feasting settings accompanied with a mesmeric panorama of Dubai Marina. This eatery is exquisitely cherished for its contemporary blend of traditional ingredients and spices with super-fine dining arrangements. Indego is situated at Grosvenor House Dubai Al Sufouh road – Dubai. Amal offers you to savour the authentic Indian flavors in esteemed settings. It aims to please you with their innovative and fresh regional cuisines of India. The menu is all set to offer you premium Indian delicacies ranging from the main courses, desserts and beverages. Exotic food specialties are cooked table side to showcase the traditional and historic cooking styles, ingredients and methods. Relish fascinating feasting experience with exquisite outlooks over the Downtown vicinity and The Dubai Fountain. Amal Restaurant is located Armani Hotel – Burj Khalifa, 1 Mohammed Bin Rashid Boulevard – Dubai. iZ features an extensive array of traditional Indian snacks and cuisines in modern chic ambiance comprehensively done with live tandoor cuisines. iZ welcome you to choose from their extravagant Desi treats comprised of a fine blend of meat, seafood, vegetables, desserts and beverages. iZ is particularly famous for serving mouth watering Biryani and freshly baked Naan along with exotic curries. Their signature dishes involve Murgh Makhni (Butter Chicken) and Salmon Tikka (Grilled Fish). The eatery also upholds a classy and sophisticated atmosphere and compliments your dinner with their amazing collection of wines and whiskies. iZ is fortunately placed at Grand Hyatt Dubai, Deira – Dubai. This award winning eatery is an amazing illustration of India’s authenticity, culture, flavor and hospitality. Antique bazaar reflects the flavors of Indian cuisines the right way. In Dubai, only a few restaurants are noticeable for their authentic Indian flavors, and Antique Bazaar is an obvious among those. The place is eminent for carrying on the heirloom of serving culinary panache that once rule the hearts of the imperial groups of India who are still known for their appreciation for exquisite cuisines. Their majestic ambiance and extravagant food delicacies actually give you a royal treat. This regal eatery is placed at Four Points by Sheraton and is nominated as one of the finest place to dine and drink in a lovely environment and one of the must-try Indian restaurants in Dubai. Gazebo is another fascinating destination to enjoy the fabled royal cuisines that are prepared over the patterns of authentic Mughal recipes, spices and zests. They have an extravagant and lavish menu and a glitzy ambiance to give you an imperial indulgence. Although all of their food delicacies are absolutely dying for; yet some must try-out at Gazebo include Raan-e Sikandari, Murgh Seekh Bharwan, Lobster Tawa Masala, Handi Gosht and a wide array of Biryani. It also offers a lip-smacking range of traditional desserts and beverages. Gazebo is situated in Dubai Internet City – Dubai and at Kuwait Street, Al Mankhool, Bur Dubai. These are some of the best Indian restaurants in Dubai, where you can enjoy the best Indian flavors in Dubai. For further suggestions please, comment below.